It is amazing that such a large and substantial building as Bruford’s Steam Brewery could have vanished without trace and been forgotten. 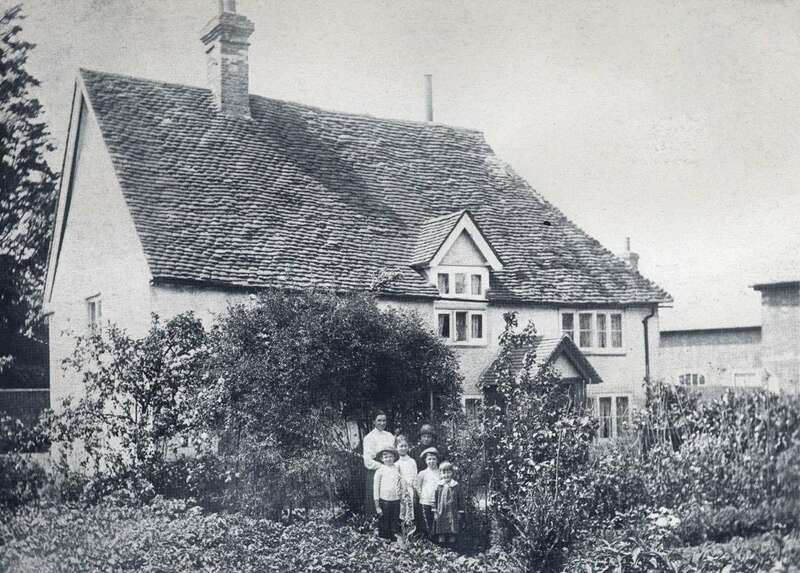 For thirty to forty years it stood in a prominent position right on the High Street (known as ‘The Street’ then), between Broadoak, house of the village doctor, and the Three Horseshoes. 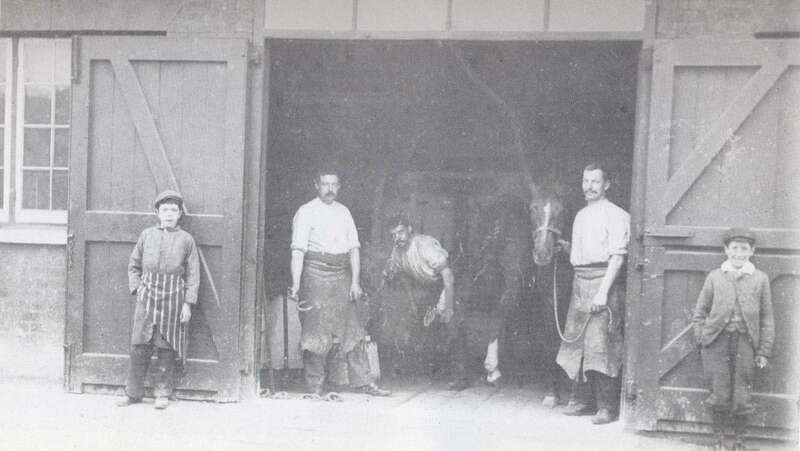 It was in full operation by 1881, giving employment to many Cranleigh men who worked as clerks, draymen, coopers, bottlers, cellarmen and mineral water makers. Presumably, too, it would have given its distinctive smell to this end of Cranleigh. Bruford’s stables were on the opposite side of the road, behind the Arts Centre, on the site of the present house called ‘Old Court’. The horses pulling a dray with casks must have been a frequent sight as they trundled through the village. 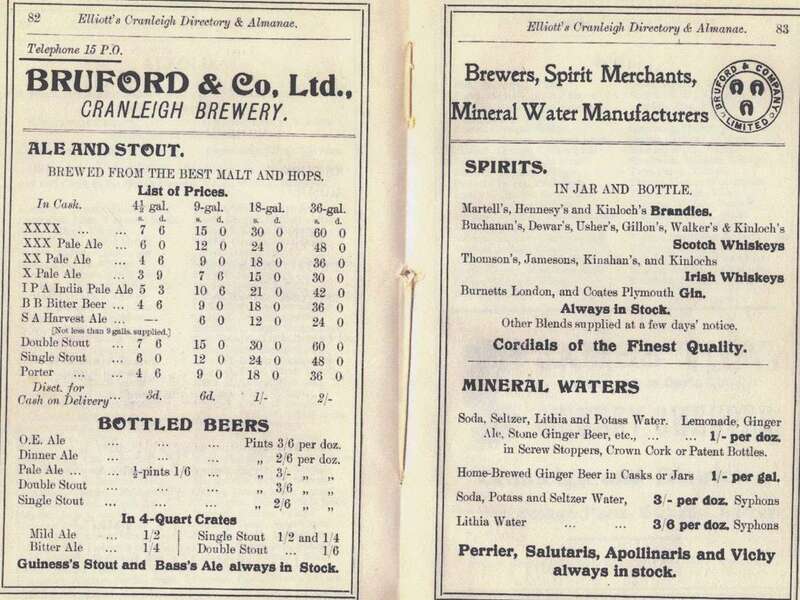 The advert of 1910 shows a wide variety of drinks made in the brewery or supplied by them. Those were the days when a dozen bottles of lemonade could be bought for one shilling (5p in today’s money) or a dozen pint bottles of pale ale for three shillings (15p). Bruford’s Steam Brewery owned the next-door pub, the Three Horseshoes, and also the White Hart in Ewhurst Road. 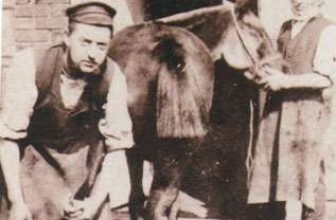 The brewery’s trademark was three horseshoes, as seen on their stone bottle. 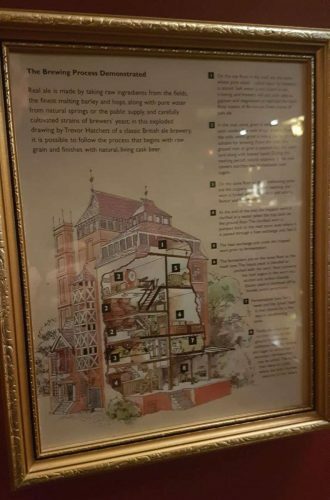 Inside the pub is a useful chart of the beer-making process that would have taken place in the brewery. Out of sight behind the brewery was Brewery Cottage. It was called this in 1911, when Joseph Burton was renting it from Bruford’s for £26 a year. He was a cooper or barrel-maker for the brewery. The cottage is one of the oldest buildings in Cranleigh, having been assigned a date of 1445 by the process of dendro-dating. The angle of the roof suggests that it was originally thatched. 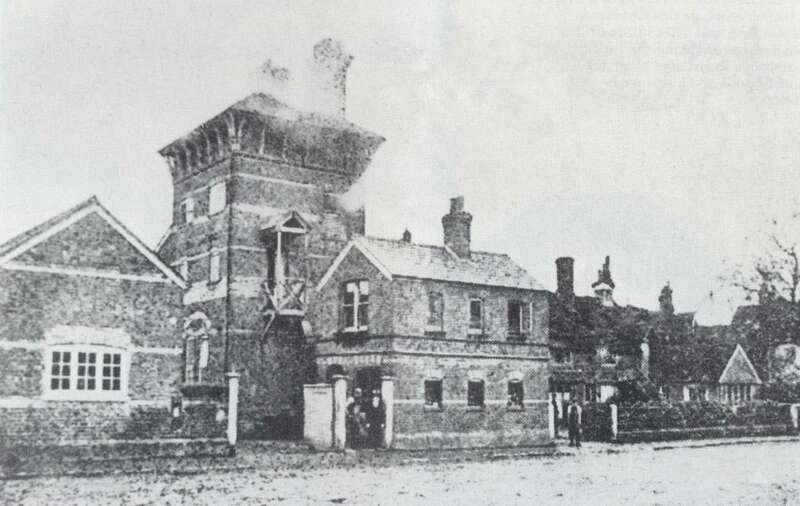 Soon after 1910, the brewery was taken over by a larger one which began reducing its operations in Cranleigh. 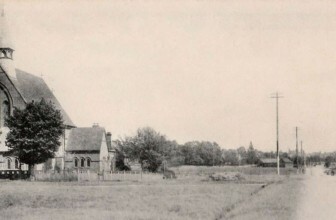 By 1913 it was partly dismantled, and Frank Osbourn had moved his car saleroom/garage to the front of the site. 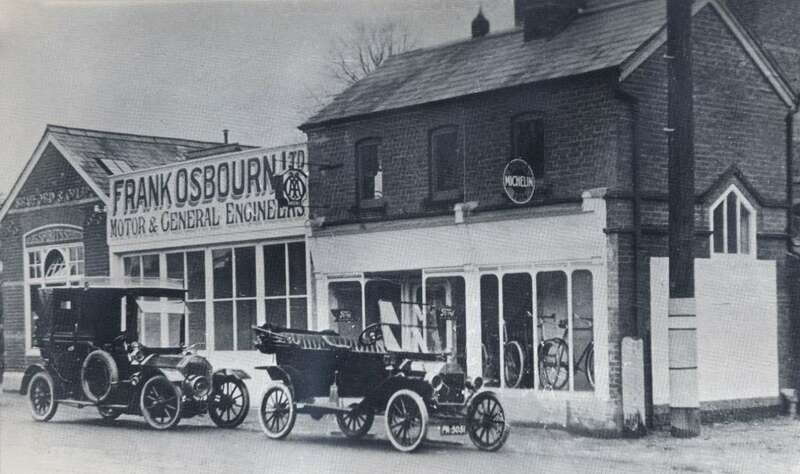 Osbourn started his business in 1910, with a small garage in Ewhurst Road (where the Chinese restaurant, Forbidden City, now is), but the growing popularity of motor cars meant that his business expanded rapidly. It seems, by comparing the old pictures of Bruford’s and Osbourn’s, that the brewery buildings fronting the Street were adapted for the car saleroom. After many years as a car salesroom and petrol station, the brewery site was bought for development but when the buildings were demolished, the almost-forgotten Brewery Cottage was revealed. 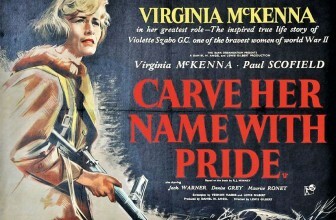 It narrowly escaped demolition itself, until local people succeeded in having it listed as a Grade 2 building, limiting the extent to which it could be altered. 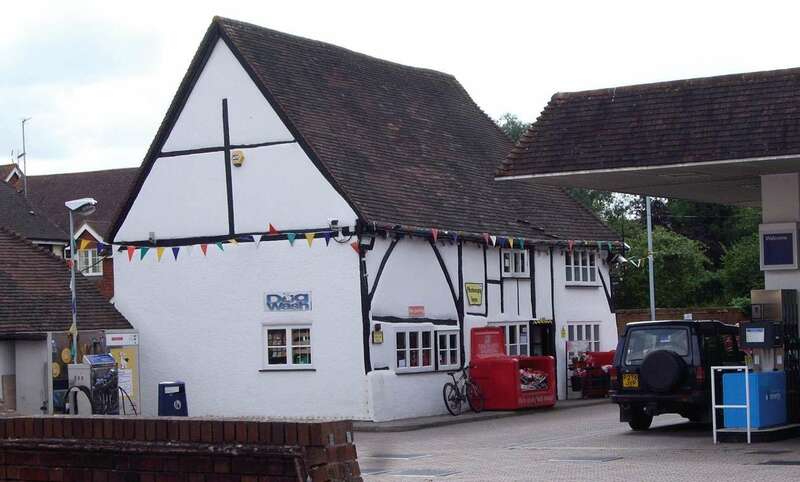 In 1988 the site was acquired by the Lambert family’s business, Chipstead of Cranleigh Ltd, who developed the forecourt into much as it is today, with Brewery Cottage reincarnated as the Little Manor service station shop. The name ‘Little Manor’ doesn’t have any historical justification, but it sounds attractive. It may well be the oldest petrol station shop in Britain and remains proudly independent. 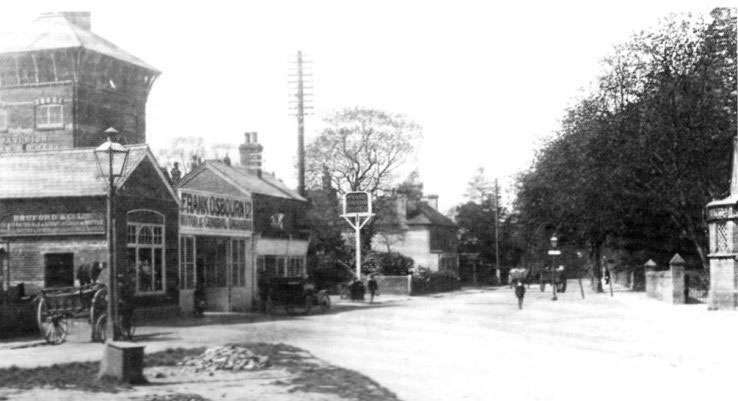 The Cranleigh History Society meets on the 2nd Thursday of each month. The next meeting will be an outing on Thursday April 11th to the Watts Chapel, Compton, assembling there at 2.30pm.